The purpose of the Cherish Wisconsin Outdoors Fund is to protect, restore and improve habitat for Wisconsin’s plants and animals. This is a permanent endowment fund and will exist in perpetuity to support our state’s 1.5 million acres of publicly owned forests, savannas, grasslands, wetlands, streams and lakes. 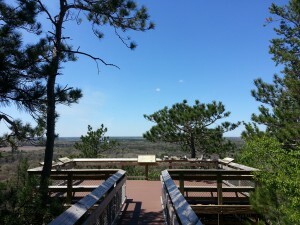 The Cherish Wisconsin Outdoors Fund is a permanent endowment fund held and managed by the Natural Resources Foundation of Wisconsin, an independent nonprofit 501c3 organization. As the value of the fund grows through donations, we are able to make grants by disbursing the interest earned on the investment. We estimate that the fund will be able to disburse an average of 5 percent of its endowed value. So for every $1 million in the endowment we will likely be able to disburse approximately $50,000 for habitat management. The endowment is fortified by investments from citizens like you. Every dollar you donate to Cherish is protected forever in the endowment fund; the interest earned on your dollar is invested back into the lands you love here in Wisconsin. When you invest in and give to the Fund, you help make sure that the 1.5 million acres of publicly-owned forests, barrens, grasslands, wetlands, brush land, streams and lakes in Wisconsin will be cared for—today and for generations to come. 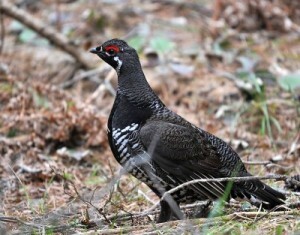 Spruce Grouse. Photo by S. Reischel. In March 2012, Act 148 was signed into law. Act 148 established an endowment program to support habitat management activities on land owned or managed by Wisconsin. Act 148 also enabled the Department of Natural Resources to request over-the-counter voluntary contributions from citizens purchasing hunting or fishing licenses.